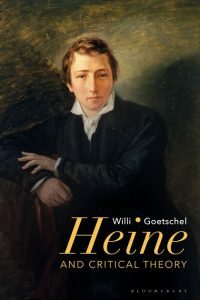 Congratulations to Willi Goetschel on the publication of his new book on Heine and Critical Theory. 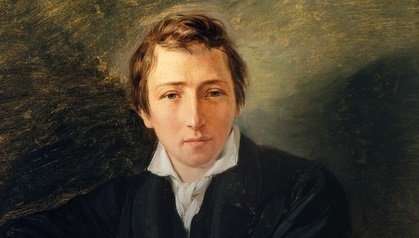 Heinrich Heine’s role in the formation of Critical Theory has been systematically overlooked in the course of the successful appropriation of his thought by Marx, Nietzsche, Freud, and the legacy they left, in particular for Adorno, Benjamin and the Frankfurt School. This book examines the critical connections that led Adorno to call for a “reappraisal” of Heine in a 1948 essay that, published posthumously, remains under-examined. Tracing Heine’s Jewish difference and its liberating comedy of irreverence in the thought of the Frankfurt School, the book situates the project of Critical Theory in the tradition of a praxis of critique, which Heine elevates to the art of public controversy. Heine’s bold linking of aesthetics and political concerns anticipates the critical paradigm assumed by Benjamin and Adorno. Reading Critical Theory with Heine recovers a forgotten voice that has theoretically critical significance for the formation of the Frankfurt School. With Heine, the project of Critical Theory can be understood as the sustained effort to advance the emancipation of the affects and the senses, at the heart of a theoretical vision that recognizes pleasure as the liberating force in the fight for freedom.